"Universe as Network"?... or... "Jeweled Net of Indra"? A linguistic "re-phrase"... or... "transformation"... or... "nuance" (if it is Tuesday and this is Paris), does not constitute a logic "paradigm"... and may obfuscate the emergence of any "true" logic paradigm. 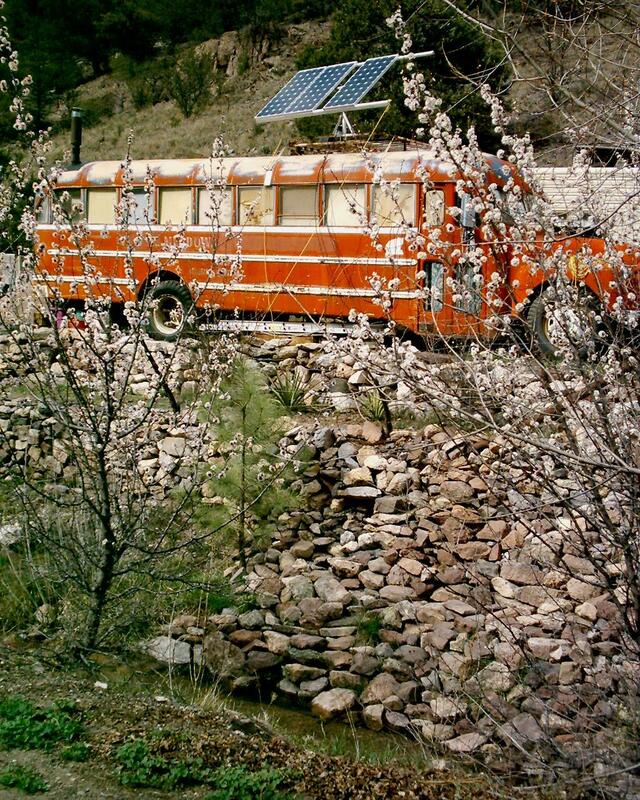 The notion of a "fundamental principle"... or... "program", underlying distribution of Energy is hardly a paradigm. For over 12 thousand years, Vedic Science has maintained an Energy/Space Universality model as an intelligent network, and Science viewed as a continuum, can provide a logic reduction of "stochastic" factors, which may relieve the necessity for "brute-force �universe hunting". In his 1948 book,1 B.T. Spalding defined "The Quantum Theory" as "a theory of distribution of Energy throughout Space", and he devotes a chapter to analysis of it's equivalence to Vedic Science as "a theory of distribution of Energy throughout Space". Principles are hierarchal and categorical, and the most fundamental principle of Energy Emission and subsequently Energy Distribution, is certainly debatable. As an artifact of Vedic Science, the tri-axis Dorje (Vajra) geometry form suggest an attempt at Origin Singularity (OS) geometry resolve � which to my knowledge did not develop more than one shell (one level of spatial node emergence) � but in general, Vedic Science infers "Unity-Substance" from perceived "intelligence in nature"... i.e. "faith" ("intuition"?)... and thus there is no requirement for geometric resolve of the Origin Singularity (OS). The boot sequence of a simple digital processor suggest that intelligence requires a pulsed 2 bit Energy differential... i.e. booting a "cosmic consciousness" requires a pulsed source... and therefor a single Energy Emission Event... e.g. a Big Bang... is untenable in Vedic Science. If a "computational universe"... then a Pulsed Source... and "learning" � defined as self-modifying intelligence � requires pulse by pulse system resolve of the chorography of all minimum quanta of Energy (QE) within addressable quanta of minimum Space (QI)... i.e. each open/close differentiatable pulse updates intelligence log with pulse Intermittent Calculation State (ICS) Solution Inferred Functions. "Algorithmic spacetime explorers"... Ref: Stephen Wolfram TOPIC: What is Spacetime Really; T. Bolognesi July 21, 2016 Post ... attempting to resolve a "mathematical apparatus to express physical matter as a container of information"... Ref: FQXi TOPIC 1928: Alternative Models of Reality; Sergio Michelson Jul. 8, 2016 Post... have shown that an unresolved singularity geometry creates a discontinuous graph (coordinate-system) � within the singularity encapsulation of a point Energy Source � which prohibits establishment of a minimum unit of Energy (QE) per minimum unit of Space (QI) relationship. "Lorentzenity" as observed manifestations... i.e. not fundamental principles of Energy Distribution... can not verify an unbroken kinematic chain of Energy distribution from source, in a field in which the Source Origin Singularity is not resolved. Coordinate transform functions do not resolve in the vicinity of an unresolved Point Source Singularity... Ref: center of a Lie diagram... and even trivial adjustments for continuous to the discrete... i.e. based on "intuition" ("faith"?)... just begs the question of Origin Singularity (OS) geometry resolve. If known link, please direct... but I have yet to see a 3D expanded Hesse graph (correlation-plot) that in my mind resolves the Origin Singularity (OS) as a single point root encapsulation geometry, which will facilitate pulsed minimum unit Energy (QE) Emission distribution, equally in all directions. Any Q-theory as a "physical representation of information" requires an Energy Distribution model that establishes QE/QI relationships for occupation of Space by Energy, and resolves a minimum unit of Time (QT) as the distribution pulse... i.e. Quantum Clock. Clocked time as a record of a pulsed differential, is contingent on clock differential mechanism, and any theoretical minimum unit of Time (QT) � in which one record of QE emission event differential equals one OPEN (read state), ICS (resolve), CLOSE (write event) sequence of events � infers a timeless (unknown-interval) Intermittent Calculation State (ICS) between any two sequential perceivable QE emission events. Given minimum quanta of clockable time in QT units... i.e. no fraction of QT is knowable... an invariant (constant) interval between Q-clock event record (ticks) can be inferred... i.e. a time variant cannot be measured in unknowable intervals. Observed manifestations of Time may be derived from a pulsed QE Emission, but such manifestations are not the fundamental principles of QE Distribution. Algorithmic energy/space explorers attempting to perceive Quantum Energy Distribution, as a mathematical model of the "intelligent nature" network... i.e. continuous QE kinematics from Origin Source to Discrete Energy Choreographed Entity... will find it necessary to resolve a 3D "computational universe", in which a unit of pulsed minimum differential...i.e. Quantum Time (QT)... utilizes a resolved Origin Singularity (OS) geometry to Distribute Energy as minimum Units of Energy (QE) per minimum units of Space (QI). A "total abstraction" of Energy Distribution, "with no preconceptions"... Ref: Stephen Wolfram TOPIC: What is Spacetime Really; T. Bolognesi July 21, 2016 Post... i.e." baggage-free"... Ref: T. Bolognesi FQXi Essay Contest - Spring, 2015... may or may not support Origin Energy Pulse (OEP) magnitude invariance as a fundamental principle of Energy Emission and subsequent Distribution, but a differential perceived as Origin (Source) pulsed open-close cycle... i..e. Quantum clock event record.. must be interval invariant due to QT resolved as an indivisible unit... i.e. minimum quanta of Time = 1QT.. I agree with Tommaso Bolognesi that a "full abstraction" for "exploration of a computational universe" will require support for Deterministic and Discriminatory functions, and the Virtual Quantum Lab Game (VQLGame) as discussed previously... Ref: Stephen Wolfram TOPIC: What is Spacetime Really; S. Lingo June 20, 2016 Post... is a re-thinking of CAD 3D graph (coordinate-system) generation as a "deterministic causet construction technique" suitable to re-write by Energy Distribution functions. The QE Choreography of a Discrete Corpuscular String Theory (CST) Hydrogen Proton, was computationally reduced (inferred) on the basis that all UQS coordinate system nodes are volumetric shell singularity encapsulated, which ensures the center of inertia of any Energy entity choreography can be resolved in terms of the Origin Singularity (OS) spatial algorithm. However, spatial "causal invariance" in a unified field quantization coordinate system, does not prohibit the emergence of diversity by discretionary Energy Distribution intelligence. The proposed Virtual Quantum Lab Game (VQLGame)... addresses the requirement for a Deterministic Spatial CAD navigable quantization � which supports Discretionary Energy distribution � as a dual component design... i.e. 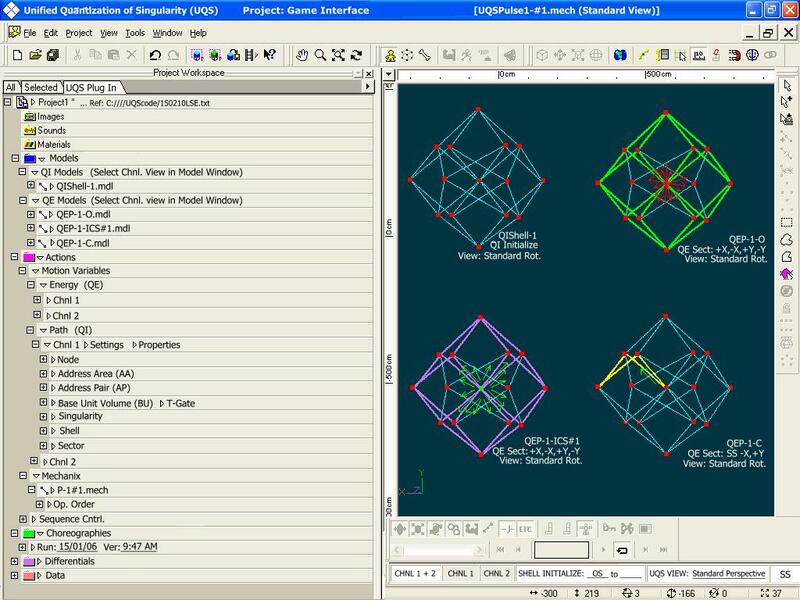 a 3D CAD Coordinate Spatial dictate generator, and an Energy Emission SIM resolve interface. A 3D Spatial model that intends to unify all perceivable spatial form must be derived from the most fundamental principle of geometry that underlies all perceivable spatial form... to include it's Origin Singularity (OS). If "a spacetime event in a causal set is simply a node in a directed, acyclic graph (DAG)"... Ref: Wordpress: Event patterns: from process algebra to algorithmic causal sets; T. Bolognesi, April 13, 2016 ... the "event" has graph location but no spatial extension... i.e. has no occupation of space. Spatial graph (coordinate-system) node transformations are only necessitated by perception of Energy as an event of unspecified magnitude � in terms of minimum quanta of Energy (QE) � and represented as a point on a vector line within and/or comprising the deterministic geometry. If deterministic geometry is fixed, and all QE kinematics reflect Energy Emission principles... i.e. QE animated as 2D Sprites within a fixed 3D coordinate structure as the deterministic dictates... then no migrations of Spatial nodes required. VQLGame navigation code and calculation is facilitated by minimum unit of Space (QI) 3D CAD Coordinate Addressing. A 3D Energy/Space model that intends to unify all perceivable Energy choreographies (motion) � in terms of minimum quanta of Energy (QE) animated within minimum quanta of Space (QI) graph (coordinate-system) dictates � must be derived from an Energy Emission principle that underlies all perceivable Energy Entity forms... to include Source Origin Singularity (SOS). The VQLGame:SIM-Component:QE Choreography Entity Emergence Logging Module, will need to be hierarchal by quantization geometry elements... i.e. Spatial Address Plane, Spatial Address Plane Pair, Base Unit Volume, Singularity Volume... which are modifiable by categorical geometry functions... i.e. channel, axis, direction vector summation, QE/QI accumulation (magnitude), composites, etc.... e.g. at OS P-2-C: Hiearchy: Base Unit QE Choreography Entity Type count = 1. As illustrated by Emergence Sequence of Discrete (Identifiable) Radiation Channel QE Choreographed Entity... Ref: UQS EMISSION DISTRIBUTION:PULSE-4: OPEN-ICS-CLOSE SEQUENCE = 1 QT ... function call options facilitated by vector (spline) node confluence are expanded by planar geometry node confluence... and can be appropriately augmented by Energy Choreography if/then functions. 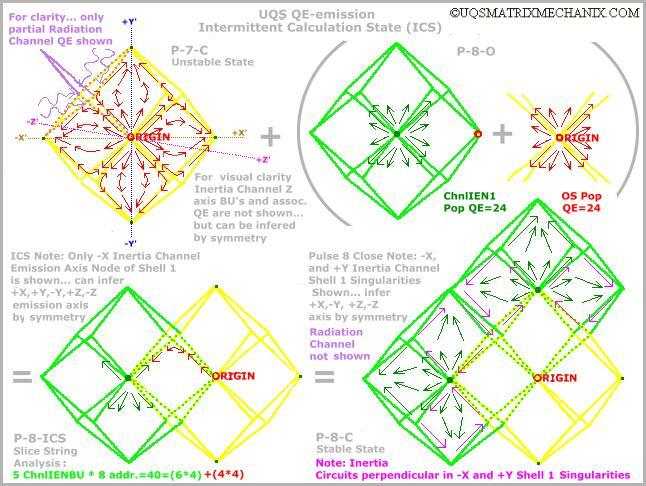 As illustrated, the first Radiation Channel QE Choreography Entity of Hierarchy: Base Unit, emerges on P-4-C. Unique Choreography Entity Emergence opportunities are also augmented by multi-channel QE distribution... e.g. Pulse-8-Close Emergence of First Inertia Channel QE Choreography Entities of Hierarchy: Singularity = Shell One: Catagory: Sector = 5. No new Inertia Channel Base Unit CHO. entities emerge on P-8-C thru P-36-C, but Singularity Entities are hierarchically differentiated in shell one, and Radiation channel develops radial distribution which propagates outward ahead of Inertia entangled entities. The proposed VQLGame interface design allows the LabTech/Player to input variables related to discriminatory functions... i.e. "complexity slider". VQLGame Time is SIM based playback controlled, as a frame per QT pulse specification. Energy minimum unit (QE) accumulation and direction vector summation for pulse based ICS resolve is facilitated by String Named Addressing... e.g. Sector, Shell, anchor, p1 and p2. To date UQS as CHOICE of Coordinate Quantization for VQLGame SIMs, has resolved Pulse-72-Close, but has not yet achieved the mathematically predictable configuration at which QE distribution within a UQS quantization of one "spherical chicken"... Ref: T. Bolognesi FQXi Essay Contest - Spring, 2015... will entangle first generation Inertia sub entities, possibly initializing a "Big Bang" of composites. That is to say that the model is not "stuck", but resolve of Pulse-73-Close requires commitment to a digital language, that will provide digital resolve assistance to facilitate Virtual Quantum Lab Game (VQLGame) development progress. With regard to any geometry or language of choice, simulation (SIM) verification of a Virtual Logic Quantum Computer prior to any Photonic IC casting of the geometry for implementation as a Quantum Phenomena Computer would be expedient. The Logic Paradigm is in resolve of the Source Origin Singularity (SOS)... i.e. a purely information based model that excludes the very first principle of physics will probably be illusionary. If a "true" Logic Paradigm has emerged, we all are amateurs.